WhatsApp is messenger app, used for send instant messages, picture, group chats and voice/video calls. WhatsApp has easily become the most widely-used app on Google's Play Store as well as iOS' App Store. 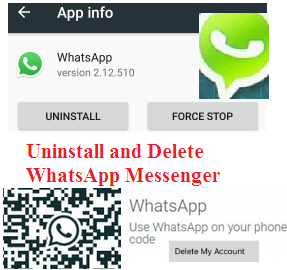 Deleting your account will delete your account from WhatsApp. Erase your message history. Delete you from all of your WhatsApp groups. Delete your Google Drive backup. 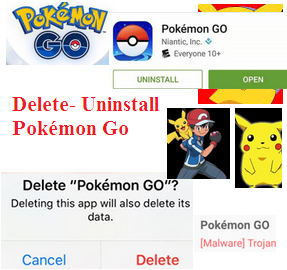 Here's a step-by-step guide follow the instructions. now confirm to delete WhatsApp. otherwise Tap Delete > Delete for Me. Messages you successfully delete for everyone will be replaced with 'This message was deleted' in your recipients chats. You can only delete messages 7 minutes after sending them. If you don’t have access to that device than no don’t worry at all Just install Whatsapp in any new device and register that old number in your new device And from your old device your whatsapp automatically gets logged out , because whatsapp donot support parallel logins.